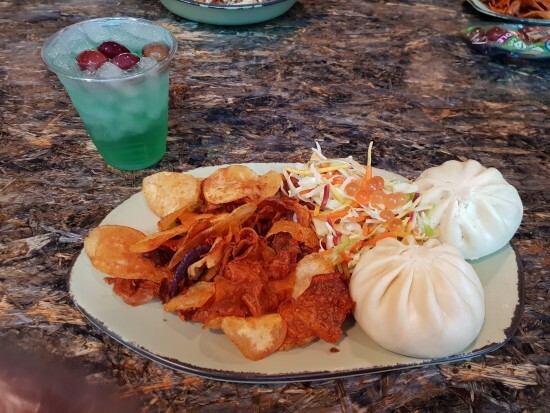 Welcome to my DDP dining report. This was our first family trip to Florida (I went at 15 years old, hubby went at 7 years old) the kid's had never been. 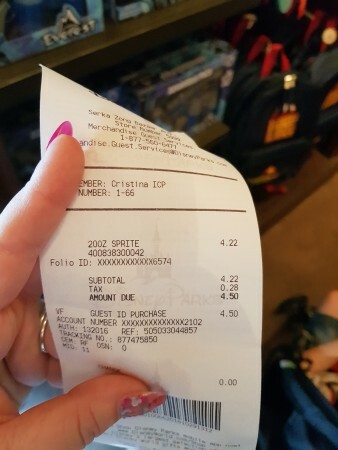 We decided to go all out and booked 2 weeks at Port Orleans Riverside with the free QSDP which we upgraded to DDP. Per person, per day. 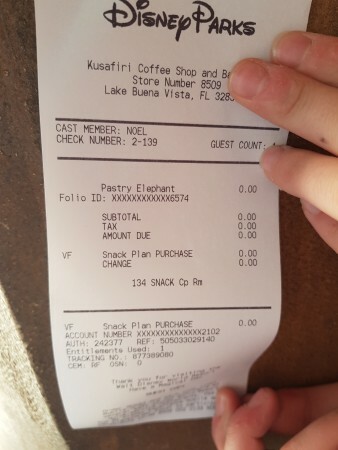 We started off with 140 snacks, 70 TS and QS credits. 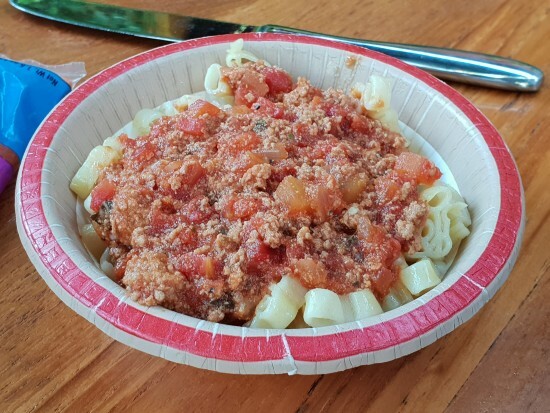 We planned to drink free water in the parks and to swap out the drink element of the QS meal for a snack. 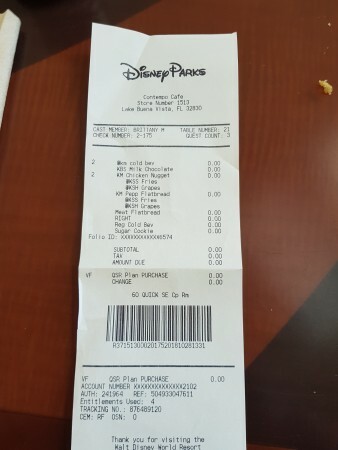 We also planned 2 day's of OOP meals for our trip to Universal. First eating in the park then dinner at Bubba Gumps. 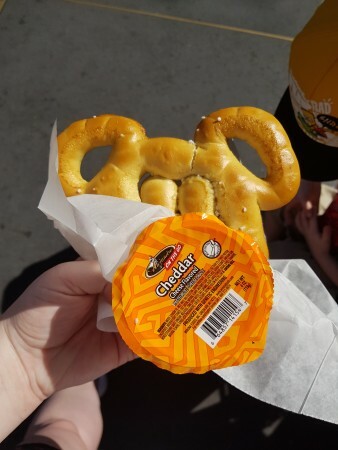 Second day was a snack at lunch time then dinner in Epcot. I had been desperate to try Steak N Shake after seeing reviews on here so planned that in for lunch one day too. 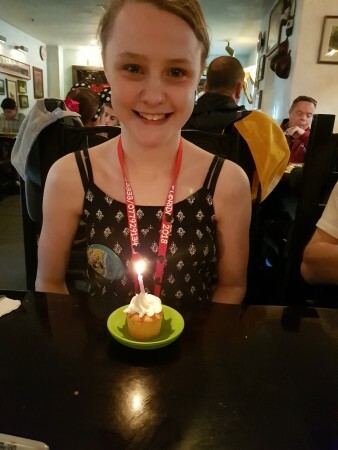 Caitlin (Turned 12 when we were out there) - total drama llama and pre teen one. Thomas (9) - the cheeky brain box one. 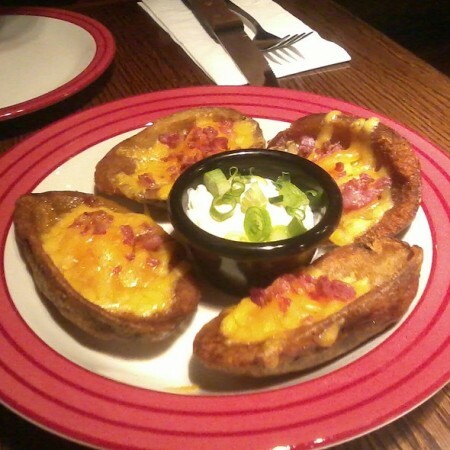 We planned to be at TGIs just before 4 but due to traffic it was almost 5 when arrived. We were all tired hungry and fed up. I was struggling to get into trippie mode and I forgot to take photos here, but trust me it’s best I didn’t. 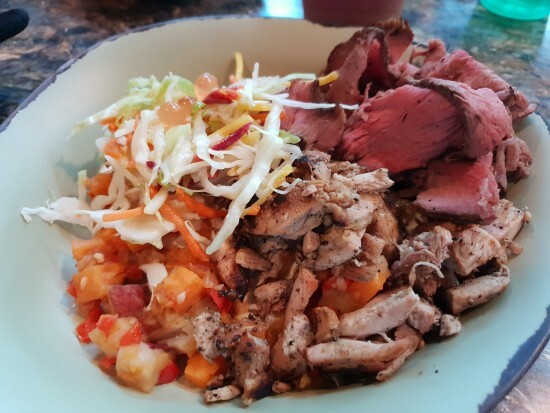 I’ve took these pics from the internet of our meals. 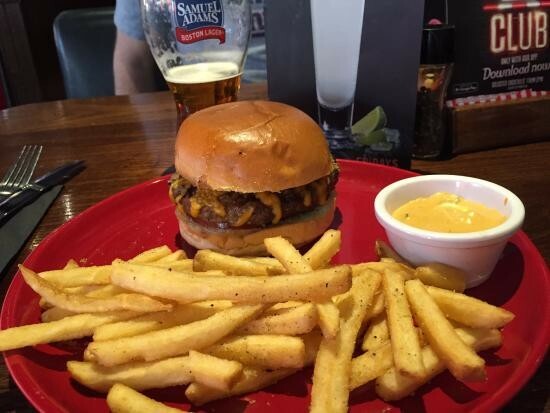 Cheeseburger Deluxe – beef burger simply grilled and smothered in cheese and Fridays mayo. 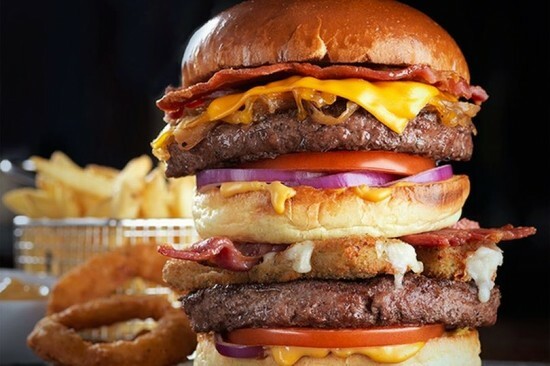 The Warrior Burger – Don’t fight it … bite it! Souble stacked beef burgers, mozzarella dippers, Colby cheese, American cheese, caramelised onions and Fridays mayo. I CAN CONFIRM THE BURGER DID NOT LOOK ANYTHING LIKE THIS! 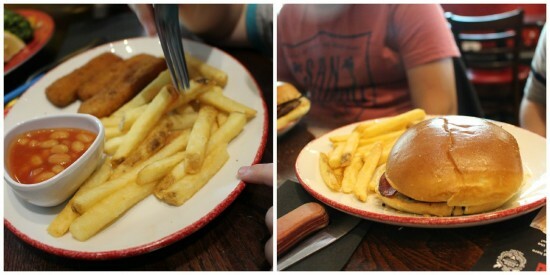 Kid’s Hamburger with no fries – Beef burger with fresh tomato, server on a seeded bun with crispy fries and baked beans. Chris and the kid's had soft drinks and I had a much deserved Bubblegum Daquiri ... it's the only photo I actually have from today I promise I do get better with the photos! 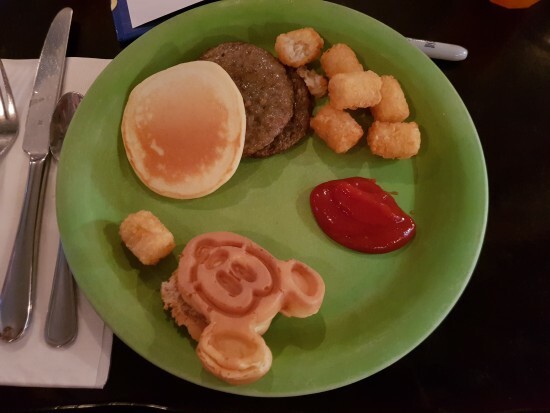 The service in here was very slow, it took almost 45 minutes for food to come out and that was just the starter and kid’s meals. 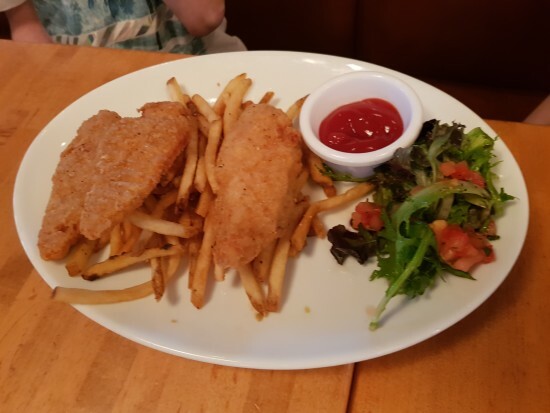 Luckily, we’d asked for the kid’s meals with the starters or the kid’s may have been trying to eat the table! Our starters were cleared, and it was another 30 minutes before our meals came out. 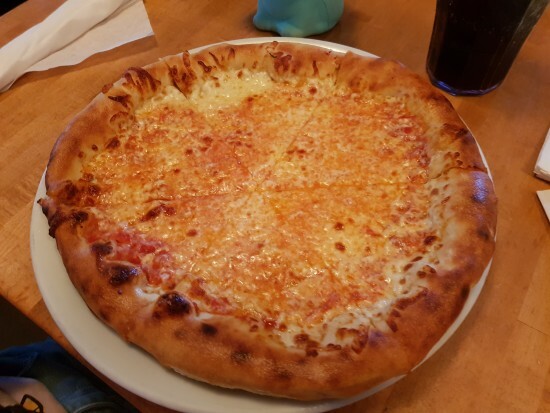 When it came out it was luke warm and crusty, as though it had been left under the hot plate for a while. 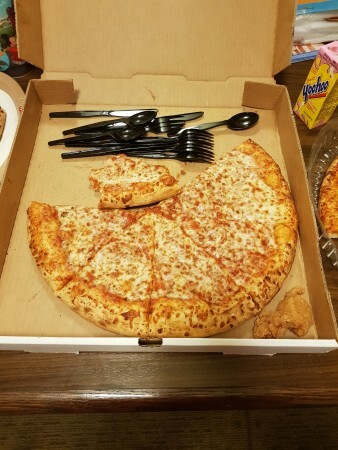 By now we were just so hungry we just ate it. None of our food was very nice, it all tasted as though it had been left under the lamps for a while which is a shame as I really wanted to enjoy it. 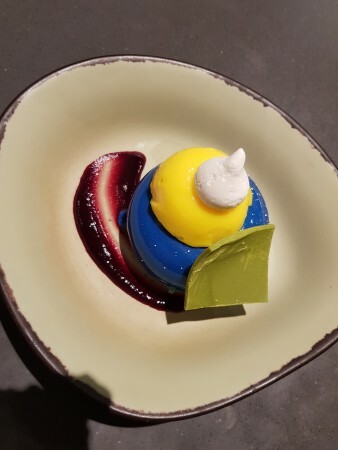 I ordered the kid’s dessert when they brought our meals in the hope that whilst we were eating, they would appear. We finished after 20 minutes, 10 minutes later the kid’s desserts still weren’t out. 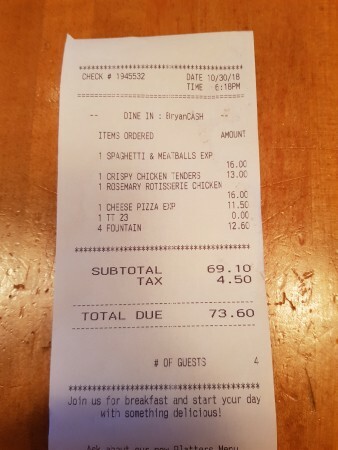 We were fed up of waiting so we asked for the bill, paid up and left. We really didn’t enjoy the food at all and it was so over priced. 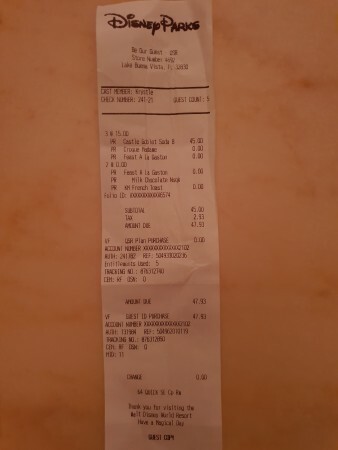 Our total bill came to just short of £70 for 1 appetiser, 2 adults meals, 3 kid’s meals, 4 soft drinks and one cocktail. If we weren't paying with vouchers hubby had I think we would have complained but as we were all tired and hungry we decided to just leave and get settled for the night. The plan for this morning was the head to McDonalds and eat there before heading to the airport. 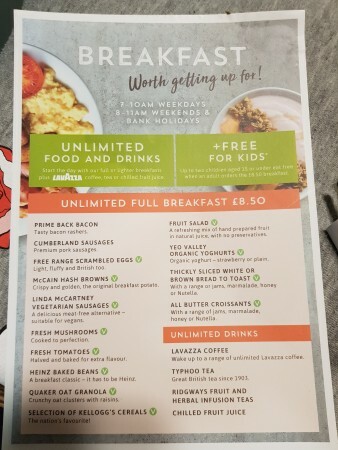 The Travelodge had breakfast for £8.50 per adult with up to 2 children free per person. This would work out as a similar price to McDonald's so we decided to eat here instead. Photos were sparse we do get better! We paid the woman behind the counter, £17 for a family of 5's breakfast was awesome! 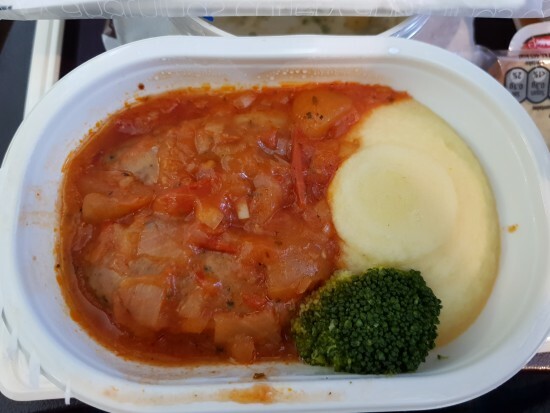 Next up was the plane food. 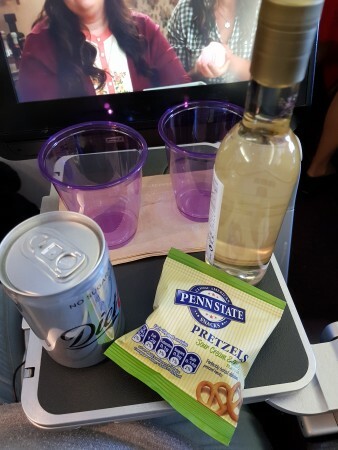 We got given a mini bag of pretzels about 30 minutes into the flight, along with a drink. I opted for Rose wine to be informed they only did white or red! I opted for white and a diet coke. Noah opted for water as he doesn't really drink fizzy pop. Next up was the adults meals. 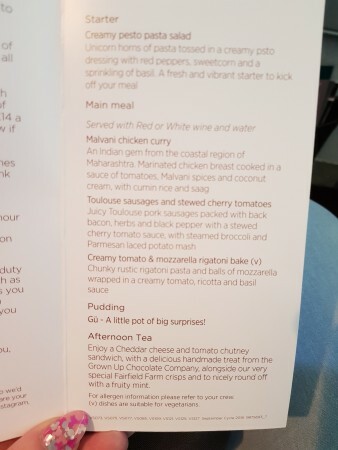 This was the menu from the flight. 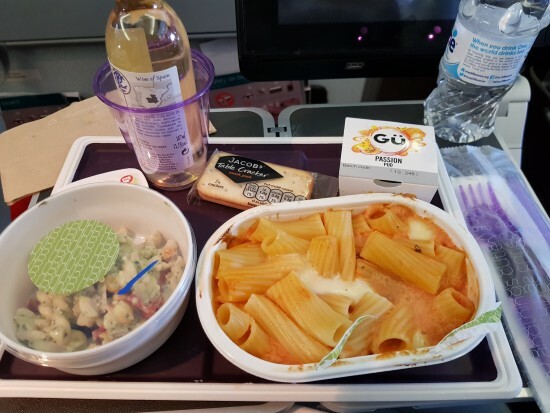 It was nice enough, I didn't try the pasta salad as I don't like pesto but I do think it's a little strange having a pasta salad with pasta maybe it's just me? 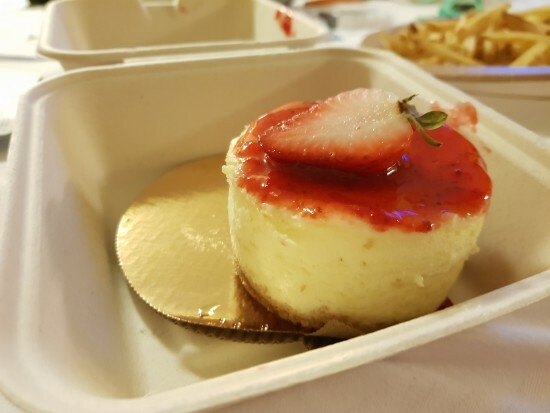 The GU Passionfruit cheesecake was lovely, not so much cheesecakey as a mousse? 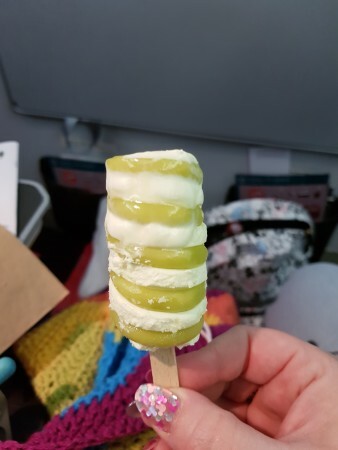 A couple of hours later they came round with the obligatory twister lolly, I'm still sulking they've replaced the fab lolly! Nothing much to say about it apart from it's a twister lolly I'd have much preferred the fab! Sandwiches were brought round. The kid's point blank refused, Chris ate his and I couldn't face mine, I just didn't feel hungry. Chris said he really enjoyed them, I did offer him mine but he said no. 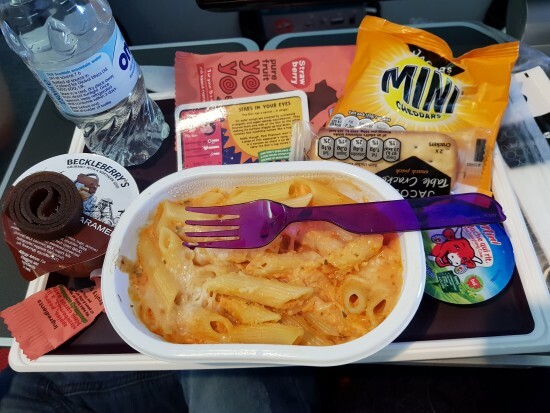 We landed and got the ME to POR, headed to our room then I left Mr Grump unpacking whilst I went to the food court to get our refillable mugs and a snack. 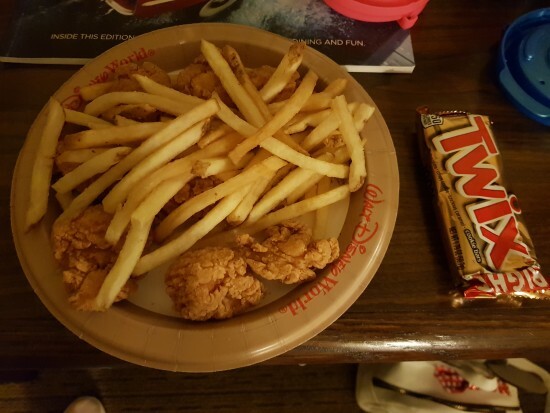 I opted for the nuggets and fries, I forgot to swap out the drink for a snack but the lovely CM let me go choose, as I didn't want to hold the queue up I rushed and grabbed the first thing I saw which was a twix! 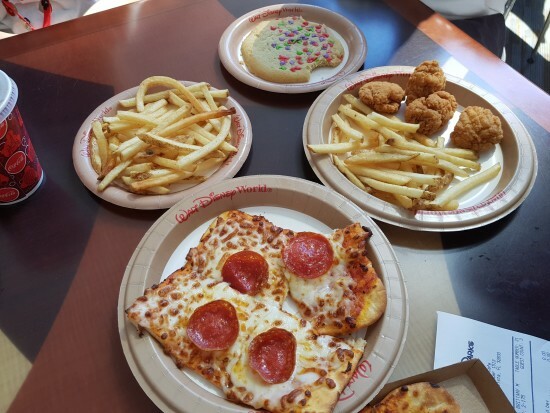 We headed to the food court for drinks and a couple of snacks to tide us over for a couple of hours before we had our Be Our Guest reservation. 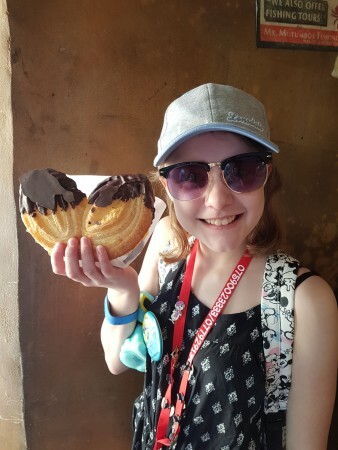 We got a chocolate pastry (which only I ate!) and a rice crispie treat which the kids shared. 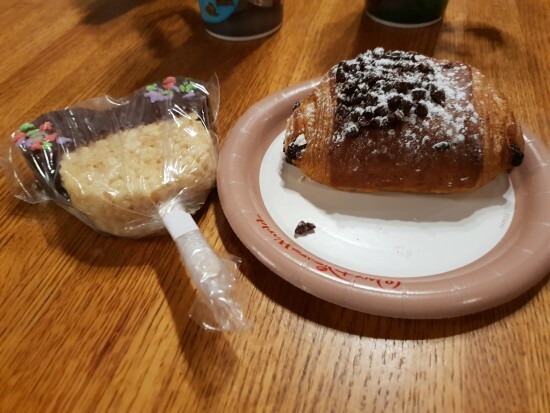 The rice crispie treat was a hit with the kid's, I really enjoyed the pastry too and it was huge! 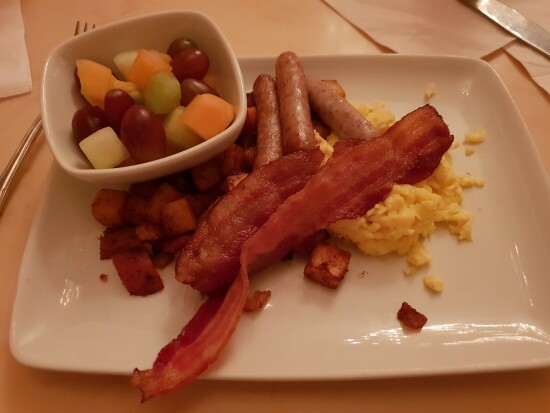 Feast A La Gaston - Scrambled Eggs, Herb-Roasted Potatoes, Apple Smoked Bacon, and Sausage served with Fresh Fruit and a selection of pastries - $28. I feel the snacks this morning really hindered my experience here. The food was lovely, it was warm enough and everyone enjoyed their food there was just too much and it was overwhelming for the little one so we felt we needed to rush. 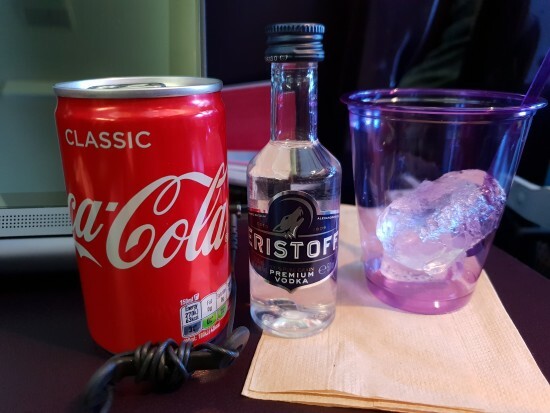 If paying OOP it is quite expensive for what it is but on the DDP this is a QS credit which I think is a great use of a credit. 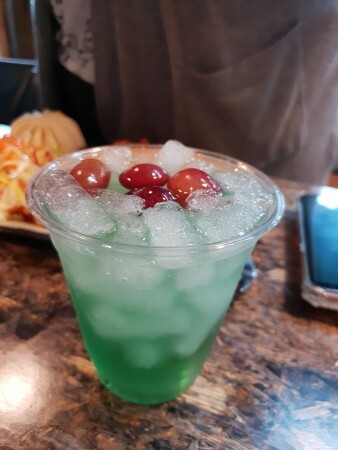 The kid's said they liked it but after a few drinks they refused anymore so I guess they didn't Mr Grump drank most of it, I didn't like it as I don't like apple juice so it was a bit of a waste for us, we all preferred the water. 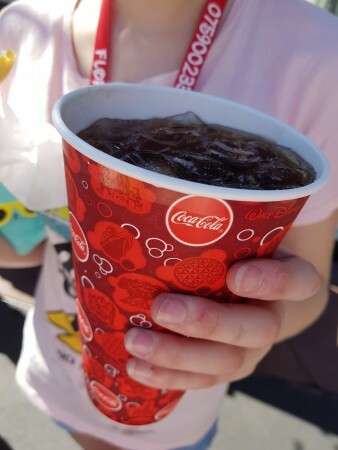 Later that day we headed to the contemporary to pick up our car and grab some lunch. 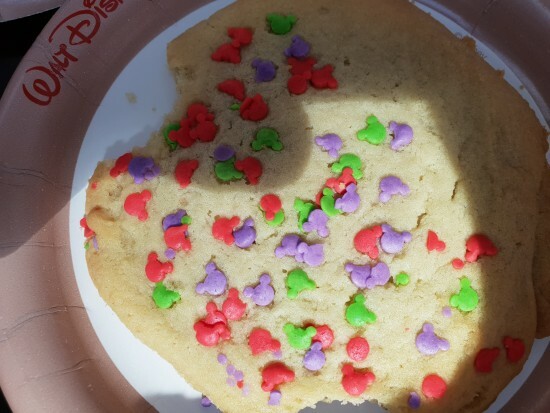 We headed to the Contempo Cafe, ordering took a while as I was trying to sort everyone with snacks and drinks, my head hurt! 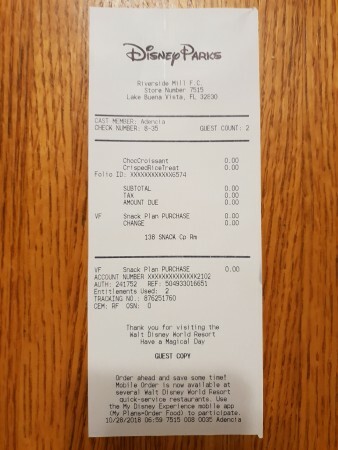 We went to the till and were told that we couldn't have a large chocolate milk with the kid's meals or something, we ended up back and forth several times before we got sorted. 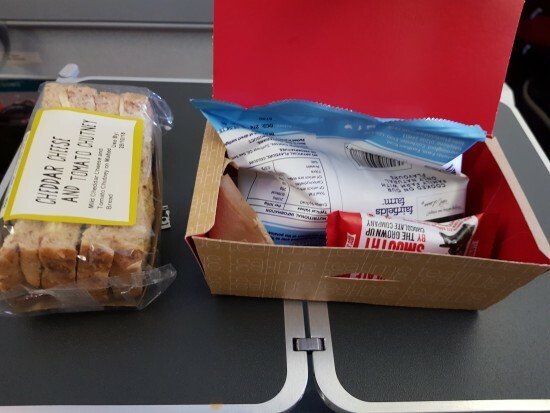 When we paid the lady talked a bit about the dining plan and said we should get on with some snacks as we had 138 left I told her I knew and that we only arrived the day before and had 2 weeks We got all the food to share between us all. Chicken Nuggets - served with Dannon® Danimals® Smoothie and choice of one side item: GoGo squeeZ® Applesauce, Apple Slices, Carrots or Grapes and choice of small Lowfat Milk, small Dasani® Bottled Water or Minute Maid® Apple Juice We got this an adult portion instead of a kid's and opted for fries with and a fountain drink. 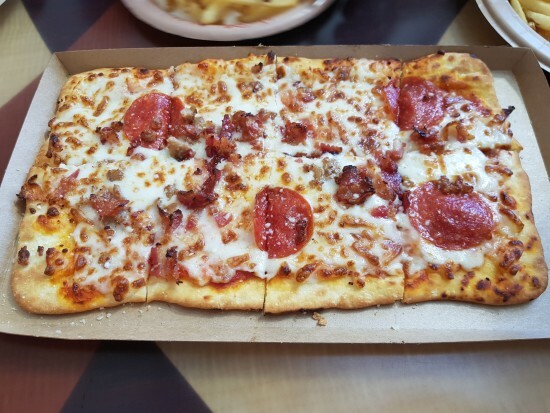 The flatbread's were lovely and were a fab sharing size. 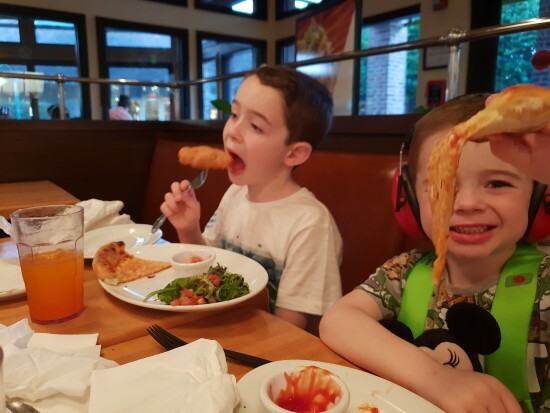 The boys enjoyed their chicken nuggets too. The fries were hot and crispy but these ones were a little salty. Couldn't fault the food and a great use of a QS credit, would definitely go again. Caitlin and I both had our birthday badges on and a lovely CM brought a cake over and said happy birthday to us which was lovely. 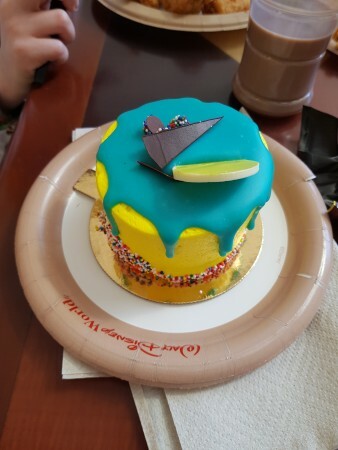 Sadly we didn't have time to eat it so we got a takeaway container and took some of the chicken nuggets and chips that were left and the cake with us. The boys ate the nuggets and chips outside waiting for the car and Caitlin and I ate some of the cake the following day. It was nice but sickly. For our evening meal we called at the food court on the way back from WalMart. 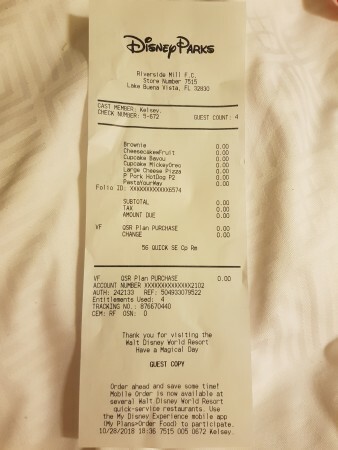 According to time stamps we got back around 6.45pm and went to the food court for food to take back to the room. 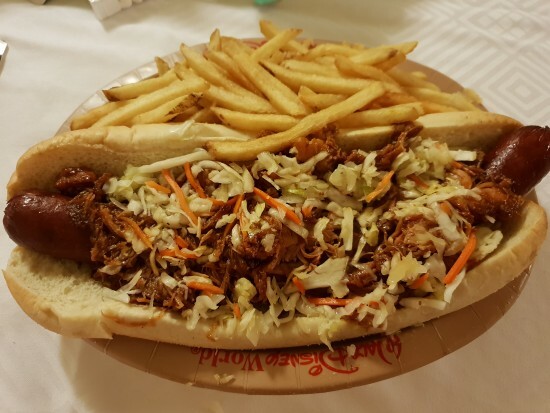 Chris loved this, he said it was really tasty, the only issue was the size it was huge and would have done us both but as I don't like pulled pork the boy was on his own He barely managed any of the fries although the boys soon helped out with that haha. I got alfredo sauce with chicken, bacon and onion. I really enjoyed this. 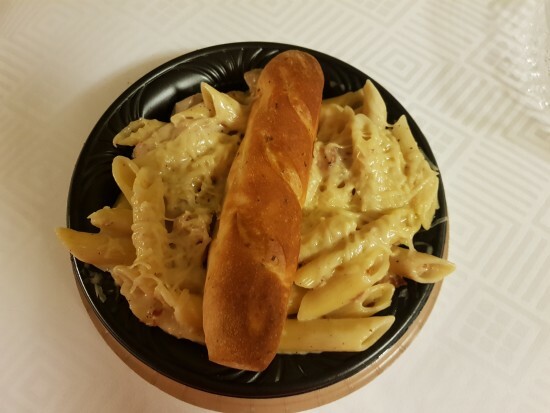 The pasta was cooked well and everything tasted hot and fresh, it comes with a breadstick which was also lovely. 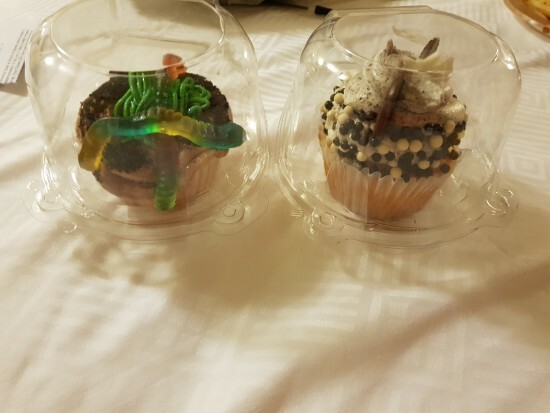 We opted to swap the drinks for desserts, but as it was only 4 credits it was only 4 desserts so I let Chris and the kid's choose their own. The food all looks lovely so far! 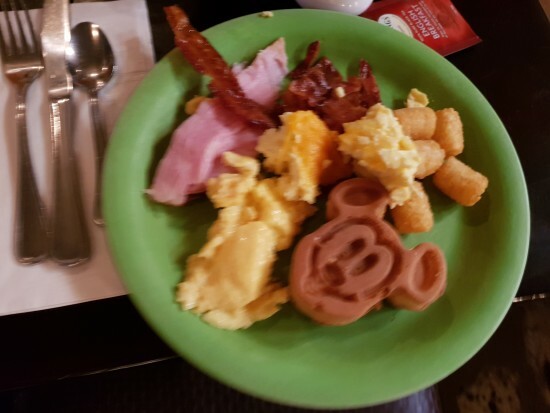 This was my first try of a Mickey waffle and it didn't disappoint it was lovely. 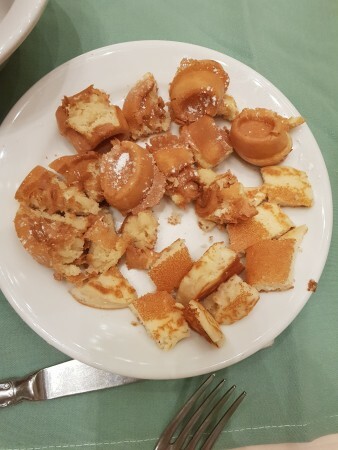 It was a little dry as for some reason I couldn't find any syrup, but it was still crispy on the outside and soft on the inside. 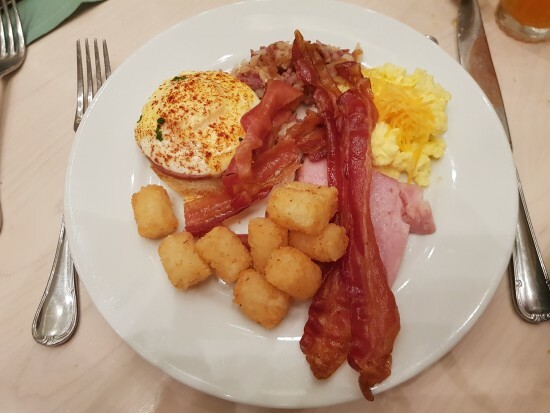 I had bacon and ham which were also really nice. I think the egg thing I got was an omelette, it was ok, I found it a little too runny for me, I'm a bit fussy with eggs. The tater tots were lovely and crispy too. 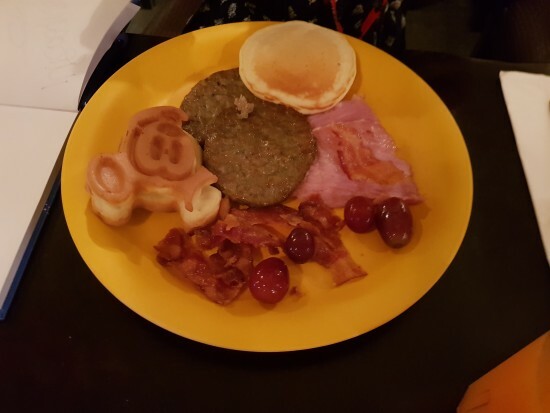 I really enjoyed this plate and I think I even went up for more bacon and Mickey waffles. I gave my cake to Noah. 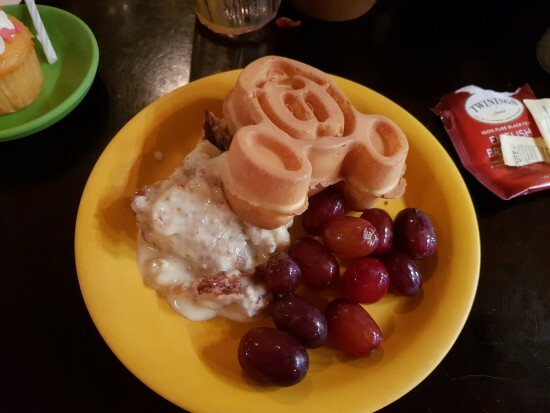 I got one final plate of food, I wanted to try the banana bread pudding and I got some grapes for Noah and a Mickey waffle for Chris as he'd forgot to get one. 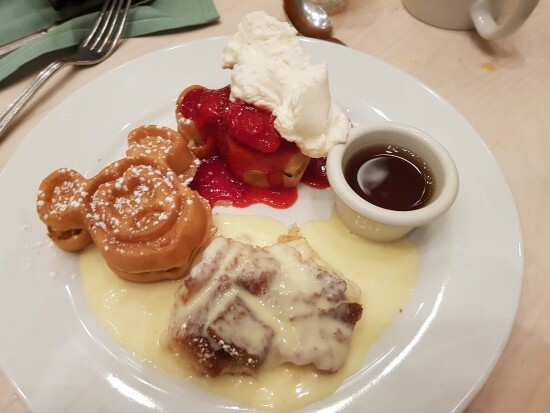 The banana bread pudding was lovely, just wish I'd saved more room for it, I had the custard on it too. All the food in here was lovely, everything was hot and fresh and the character interaction was fab. 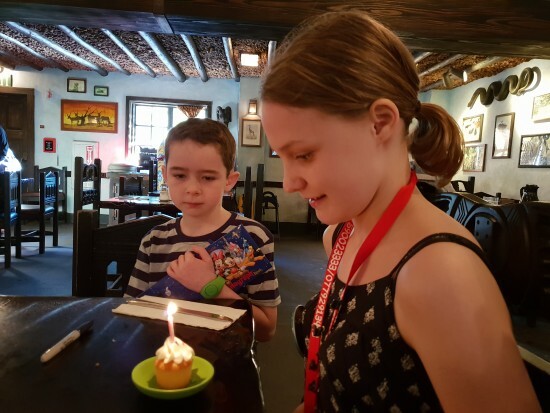 I've heard a fair few bad reviews about Tusker House but it was one of our best meals. We would definitely recommend it. We used 5 TS meals for this. We headed to Starbucks as Caitlin wanted to try a 'Unicorn Frappuccino', thankfully they said they don't make them I've seen pictures online and I think Caitlin would have been in a sugar coma after one of those! 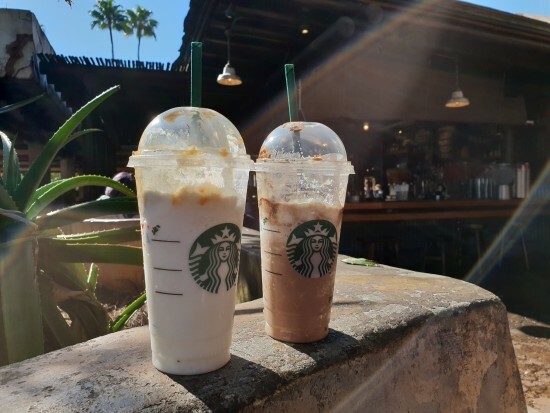 Instead we got a chocolate chip frappuccino and a caramel cream frappuccino for us all too share. There's not much to say about these are they're pretty much the same as the ones we get at home, they were nice and refreshing as it was getting really hot by now. 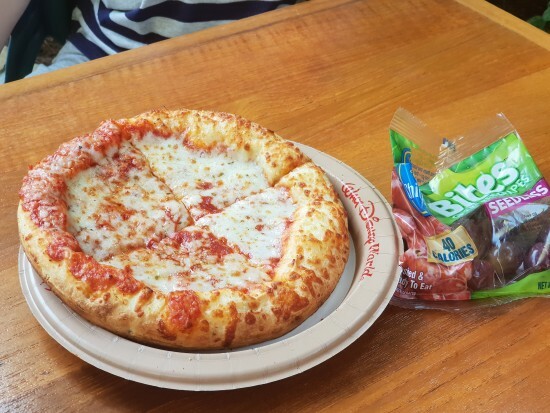 We used 2 snack credits for this. This was really nice but it was huge! Caitlin loved how bit it was so wanted a photo with it to show how big it was. This was a snack credit which I think is a fab use of a credit. We all shared it and really enjoyed it. We used 1 snack credit for this. 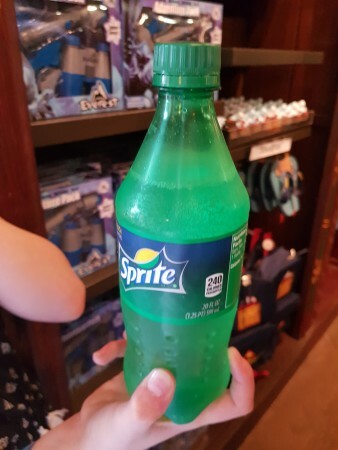 Whilst Chris and Thomas were on Expedition Everest we decided to get a bottle of pop to share as we were all thirsty by this point. 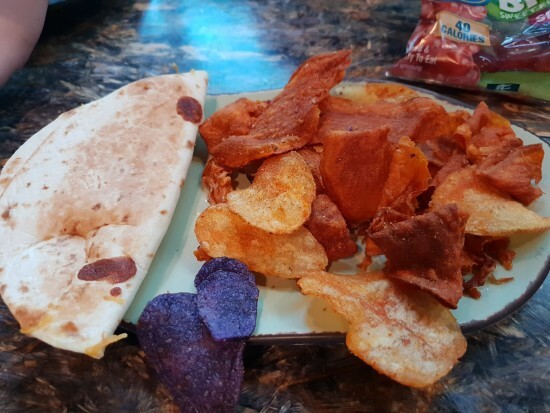 Somehow the CM managed to charge this to the room instead of using a snack credit, I rectified this later in the day when we returned to the resort. Next up we were a little peckish after our Kali River Rapids ride so we popped to the kiosk just outside to get 2 to share. Caitlin and I enjoyed these although I thought it was a bit too salty, Chris and the boys weren't too keen. Noah was ok if I took the salt crystals off. The cheese dip was also lovely and the best part about it ... no one else liked it so I had it all to myself! I got really frustrated at this point and went to the mobile order queue as I could see our order was sat there waiting. We then headed outside to eat. We never tried the food but I think it may have had a bit too much tomato on for Thomas and that's why he didn't like, looking at the pictures it looks like a lot of tomato. I wouldn't mind going back to try for ourselves sometime. Noah had the grapes. Coming off FOP I decided to grab a Night Blossom as there was hardly any queue and I'd been dying to try it. This was beautiful and so refreshing, we all (except Thomas) really enjoyed this. 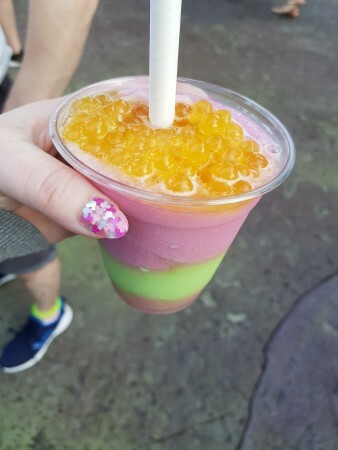 The balls are such a burst of flavour and the slush was lovely. In hindsight we probably could have done with 2 of these between us all! 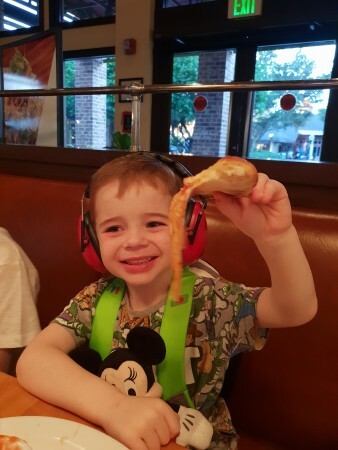 Thomas did get to try it later in the holiday and he loved it. Chris opted for the potato hash and herb dressing again he wasn't too keen on this although he ate more than I did. He enjoyed the beef but wasn't keen on the dressing or the hash which I'm surprised at as Chris tends to be more adventurous than me with food. He said he wished he'd opted for rice instead. Noah really enjoyed this and Thomas had a little bit too. It was just a wrap toasted with cheese but they enjoyed it and that's all that matters. It was enough for the 2 of them to share too as after the first one Noah was getting fed up of it. Overall this wasn't a great meal for us. 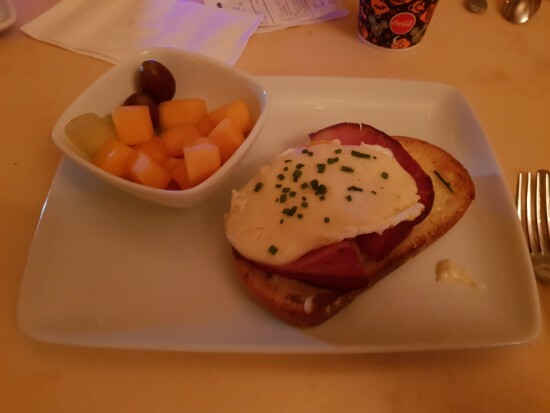 I don't think it was down to the restaurant I think it was just down to our personal tastes, plus being tired and having Caitlin playing up really stressed us out and I think that impacted on our views. 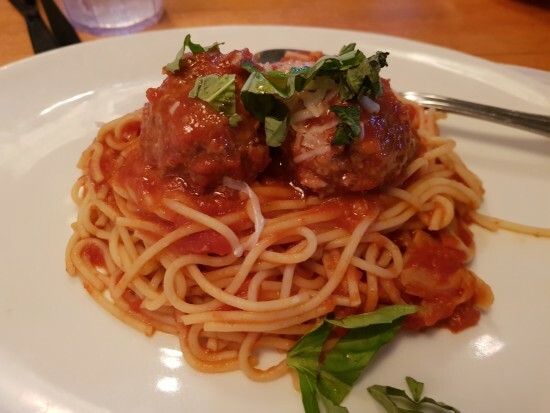 I would probably give this another try next time but maybe only order something to share as so much food got wasted, I felt it was such a waste. 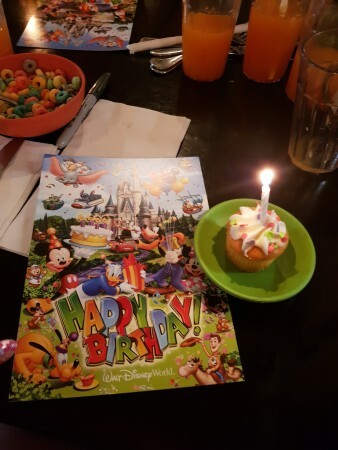 Now all the characters had been I went to get some more food. I wanted to try the strawberry soup but for some reason I didn’t, could really kick myself for forgetting! Everything I had was lovely though. 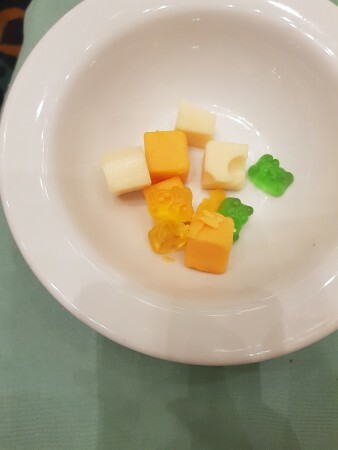 Everyone really enjoyed the food here, the kid's particularly like the gummy bears! It's definitely a place we'd visit again. The character interactions were fab here too. First food cart we all got ice creams as we were very hot. I did take pictures of these but for some reason can't seem to find them anywhere ? Caitlin and I had strawberry lemonade, Thomas and Chris had an orange lolly and Noah had a Mickey Ice Cream. 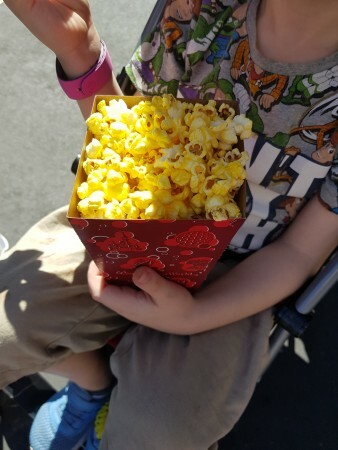 We were all peckish before we left in the afternoon so we stopped off and got the kid’s their first taste of American popcorn, which they all loved. In vhindsight we should have got them one each but we didn’t! 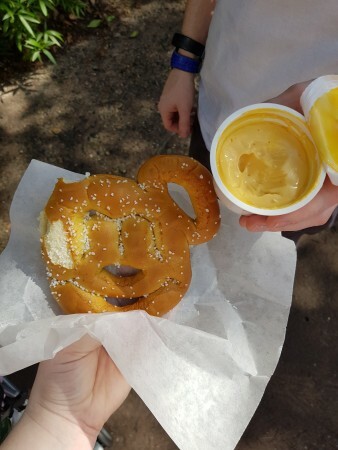 We also got a Mickey Pretzel and a coke to share. The popcorn was lovely and became a firm favourite for the kid's they preferred it much more to our popcorn at home, I must admit it was lovely. 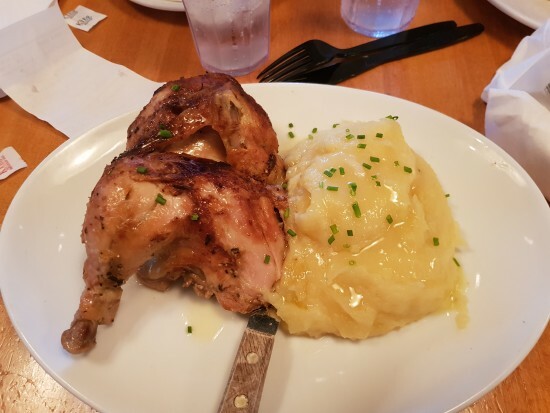 Rotisserie Chicken - Garlic Butter, Rosemary and Mashed Potatoes - $16. 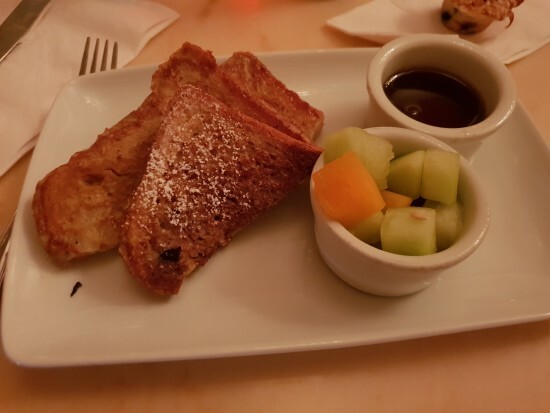 Now this classed a QS restaurant, however, food is served on china plates not paper plates and the meals are brought to the table. 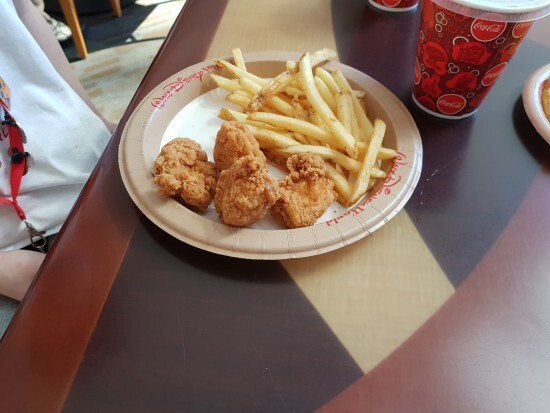 We asked for an extra plate for the boys to share their meal which wasn’t a problem. 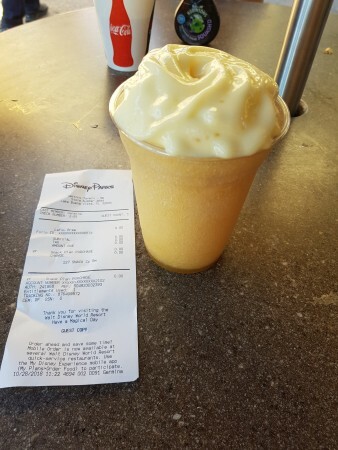 We all opted for fountain drinks.